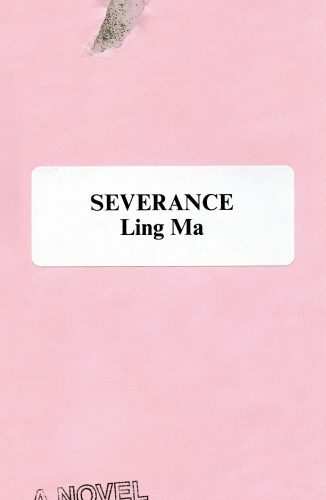 When I got my copy of Severance by Ling Ma, my first thought was ah, millennial pink again. The cover is a pleasing shade of medium pastel, which I have been trying in vain to incorporate into my makeup palette despite it making me look even more tired than usual. Of course, Severance isn’t meant to invoke a Pantone marketing scheme. It’s meant to mimic a pink slip, that antique means of firing a person that I have never actually seen. But that confusion is where this book begins: how do mid-tier office workers from a big city get back to the past when everything modern collapses? At first, they Google. In a wry, humorous open to which we can all probably relate, a ragged band of survivors Googles everything from how to start a fire to stages of grief. They don’t even know how they should be mourning a world passing away, let alone how to shoot a gun or prepare an elk carcass. Candace Chen, photography major and office worker, is particularly unprepared. Her job was in book production—not anything creative, mind you, just sourcing cheap materials from China to turn into bibles aimed at various demographics. She’s no longer religious, and remains aloof from the content of her job—and, often, the rest of her life, too. Her work allows her to live a very specific New York life: discontent, vaguely lonely, overworked but somehow underproductive, and studded with the brand names so carefully tended and curated they look, at a distance, like art. Yet Candace also finds much to love about the city, and she doesn’t leave in the mass exodus that results from the spread of the Shen Fever, a fungal infection that slowly overtakes the world. Shen Fever is spread not human to human, but object to human: the spores make their way from China in much the same way all those bibles do, and soon people are infected—but not dead. Not undead, either. Instead, this plague reduces people to calcified ritual. When the purpose is lost and the effects are null but the actions remain, that’s where the infected end up: endlessly trying on the same outfits, washing the same dishes, repeating the same office tasks. Candace chronicles the slow mechanization of New York until she is driven to escape, and ends up with a motley band of survivalists and pot-heads. And yeah, blah blah zombies and consumerism, aren’t we all mindless meatsacks of hunger looking to fill the void with Gucci and/or brains, doesn’t work make us zombies. That’s not the part I care about, although I suppose it’s possible that if you haven’t seen many zombie movies you can appreciate this aspect of the book. It’s not like it’s badly done, but Ma has plenty more to say—about the specificity of hunger, and the mindlessness of nostalgia. Candace names products with surprising tenderness, lingering over the exact items in a skincare routine and the exact snacks she buys from bodegas. They populate her history as much as any people, ciphers for nights in Fuzhou or days in New York. At one point, Candace ritualistically burns pages of glossy magazines, offering her dead parents cars and designer outfits along with the “hell money” she got from China . It’s not that she’s consumed by consumerism; it’s that she wants to express her grief and love and guilt by giving her parents the best. Brand names are not empty status symbols, but full of all the meaning and history with which we imbue them. Candace’s boyfriend, Jonathan, offers the stereotypical counterpoint: that jobs and brand names are The Man, man. To him, art and office work can’t coexist, but after five years of stringing together freelance work he hasn’t produced much, either. Candace knows that “[i]n this world, money is freedom. Opting out is not a real choice” (p. 206); culture (which includes economics) is a closed system, and everyone participates, willing or no. Candace is part of two cultures and she knows a lot about circumscribed choices, thus the secondary meanings of “severance.” There is severance (passive voice, this isn’t about blame) between Candace and her heritage, her feelings, her family. Her parents are dead, her bond with her mother already cut to the quick by early-onset Alzheimer’s. Her family is all in China—she lists her uncles as methodically as she does Clinique lotions—and separated from her not just by distance, but language. Her shaky Mandarin notwithstanding, however, her inability to connect with people isn’t really about language: she was cut off from everything long before the disease began, and, even when she’s picked up by Bob’s band of survivors, she remains severed. Bob—what a bumbling, innocuous name for such a menacing character. Zealots always frighten me, and Bob gets full marks on rabid devotion and an undercurrent of violence, which bursts out in increasingly frequent bouts of gunfire. You would think that remaining unraptured while there is clearly an event of apocalyptic proportions sweeping the globe would render a person humble, or at least doubtful, but all kinds of madness are at play in this book. Bob believes himself chosen, and woe to anyone who disrupts the trappings of his new order. He wants to take all the survivors he can find to the Facility, a mysterious and isolated compound (not that anywhere isn’t isolated, anymore) where he will continue to be in charge of the traditional gender roles and the nightly prayers. Ironically of course, he, too, is enacting calcified ritual, trying to get back the comfort of routine in this weird new world. But sometimes the ritual does help, just like sometimes the designer clothes do. Ma isn’t trying to condemn these categories, just explore them. When does nostalgia become toxic? How do we keep making the future when all we know is the past? And why bother to keep going, when—apocalypse or no—life is largely about repeating the same things to guarantee survival for survival’s sake? Ma’s answers are not trite. They can’t be reduced to “connection” or “art.” Candace survives not because she quits her office drone job; she survives while doing it. Because she wants to. She survives because she doesn’t run home to yet more familiar routines. She starts her art again, but doesn’t try to repeat her older style. She joins up with a new group, but doesn’t make them her “new family.” Candace defies all tropes and powers on, full of contradictions. Because it turns out that survival depends on the irreducible complexity of a person, someone who can encompass contradictions. To contain multitudes (in some senses literally) is to stave off the mindlessness of repetition. In some ways, Severance is an inaccurate title, since being employed or fired is not the ultimate decider in contracting the Shen Fever. No one thing dictates a descent into mindlessness. And anything and everything—so long as it’s embracing change—can be a defence against it. Christina Ladd is a writer, reviewer, and librarian. She lives in Boston. She tweets using the handle @OLaddieGirl.